BALDOCK BEATEN IN BRUISING BATTLE! 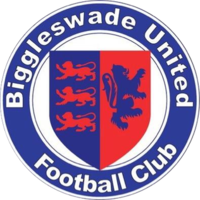 After being cruelly knocked out of the FA Vase on Saturday, Baldock Town returned to League action with the visit of Biggleswade United. But any thoughts that this would be easier than the task undertaken at Stowmarket four days earlier were soon put aside in this often bruising encounter at the New Lamb Meadow. The Reds went in making one change from the Stowmarket Town fixture with Harry Holland returning to the starting line-up replacing Charlie Joy. After an incident packed first 45 minutes, the visitors went in at the break leading by a Dylan Logan goal. However Baldock returned to the changing room having been forced to make two first half substitutions in just four minutes when both Myles Lee and Kim Forsythe had to come off with leg injuries - the former as the result of a horror stud tackle. John Priestner and Sam James respectively took their places. The second half brought further misery to the Reds with United scoring twice more through Joe Gauge and David Parkinson, opening up a three goal advantage. Baldock made their final change on the hour mark when Russell Bull replaced Stephen Brooks and it was to be an inspired substitution as he bagged himself a brace to set-up a thrilling finale to the contest. In the last few minutes Baldock threw everything they could muster at the Biggleswade defence, but sadly they were unable to penetrate the stubborn rear guard action again and went down 2-3. Baldock Town return to the New Lamb Meadow this coming Saturday 10th November 2018, when London Colney will be the visitors in a Spartan South Midlands League, Premier Division fixture. Kick-off is at 3pm.